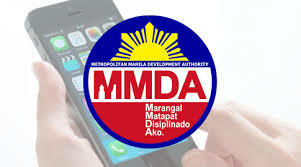 30 traffic constables of the MMDA (Metropolitan Manila Development Authority) were deployed along Mabuhay lanes yesterday (10 June 2016) armed with tablet gadget and traffic violation tickets to served as buddies of towing crews accredited agencies. The task of being a "buddy" are to monitor the conduct of the towing teams following recent complaints of extortion and other abuses. The new arrangement was part of the reorganization of its towing operations after a number of motorists whose vehicles were towed alleged that some towing crewmen demanded grease money. said by the head of the MMDA’s Traffic Discipline Office, Cris Saruca. If an illegally parked vehicle is found and the owner is present, the traffic constable will issue a ticket and the vehicle will not be towed, Saruca added. “Once you give the reference number, there is no way there will be negotiations between the crew and the motorist like: ‘Let me go, I’ll give you money,’” Saruca said. The reference number will also be sent to the impounding area, where the receiving staff will wait for the tow truck with that number. The Itow app, which can be downloaded for free in iOS and Android systems through the PureForce Citizen application, allows motorists to verify if a towing company is accredited by the agency. said by the head of the MMDA’s towing and impounding unit, Victor Nuñez. With the Itow app, there will no longer be “overpricing” since it also shows the exact distance from the spot where the vehicle is towed to the impounding area. “So when you get there, you already know exactly how much you have to pay.” Nuñez said. Saruca added that Metrobase can also monitor all the accredited tow trucks through the app. MMDA personnel can thus dispatch the tow truck nearest to a vehicle that must be impounded.